Assortment of maxi automotive fuses in plastic storage case. 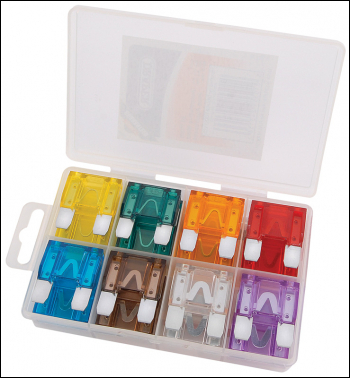 Assortment includes fuses of ratings: 20A, 30A, 40A, 50A, 60A, 70A, 80A and 100A. Display carton.